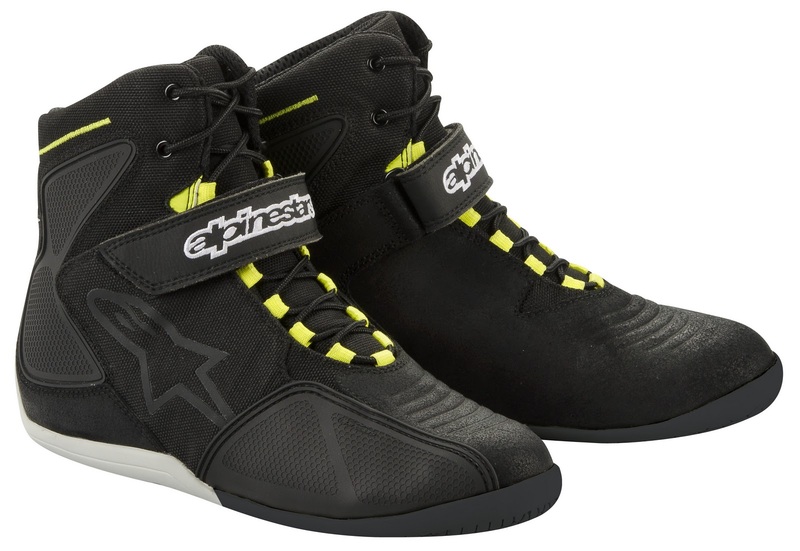 The brand new Alpinestars Fastback WP Shoes are a spin on last year's Fastlane model, but feature added functionality with a waterproof breathable membrane. The Alpinestars Fastback Waterproof Shoes feature a combination of materials at the upper, utilizing a mix of oiled suede leather, synthetic leather, and textile fabric. Behind the shell is a fully waterproof breathable membrane to keep out all precipitation but allow your foot to breathe. 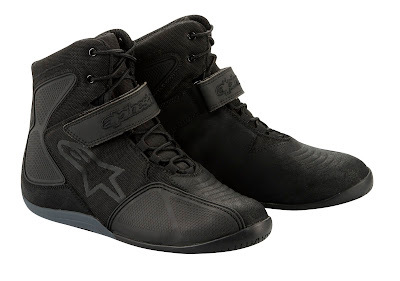 For protection from impact, there are external TPR panels at the medial and lateral sides of the ankle, a TPU toe protector, internal toe and heel counters layered beneath the leather and a shift pad that features a debossed texture for grip on your shifter. At the sole, there is a steel shank for impact protection and rubber sole is slimmer at the forefoot for mobility but has a higher arch area for support. The Alpinestars Fastback WP Shoes also use a speed lace system and feature a velcro strap to keep the laces in place. A comfortable interior and the availability of a fluorescent yellow detailed color option round out the features of the brand new Fastback Waterproof Shoes.